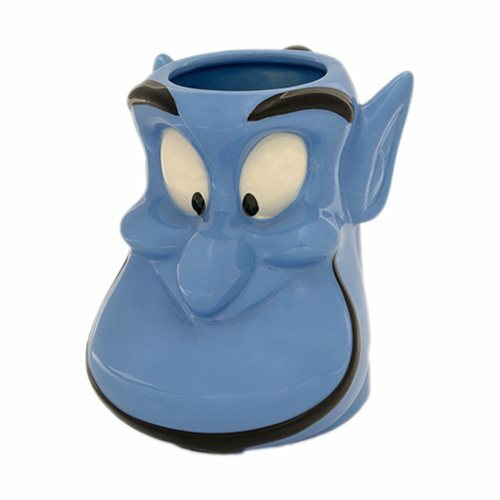 Come sit down and have a drink with the Genie! 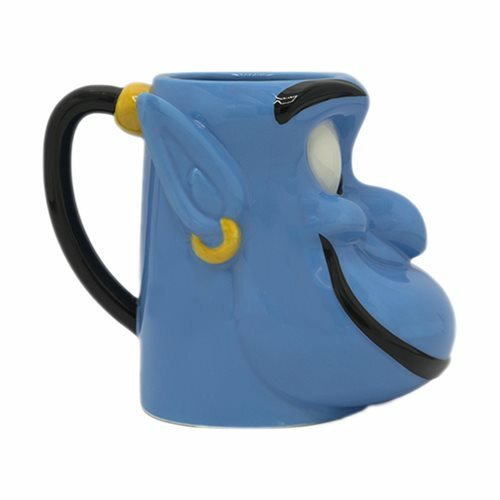 The Disney Aladdin Genie Face Ceramic 3D Sculpted Mug makes a sweet gift for fans of the classic Disney movie. Hand wash only. Not dishwasher safe. Do not microwave.